It's been a while since I used one of these mini IP cameras built around the Hi3518 chipset. So what make this yet-another-cheaper-like-there's-so-many-out-there camera different? Therefore, it seems that the samples I reviewed do not correspond to production currently sold, despite showing the same model, firmware and hardware versions. Unless you're only planning to use these IP cameras as Cloud devices, (i.e. with the Sricam mobile app only) I advise against buying these products. The Sricam SP009 is the cheapest IP camera of its kind compared with the previous model tested, Xiaomi XiaoYi, and EyeSight ES-IP810W. For the price, I was almost expecting to receive it wrapped in a plastic bag but the packaging is actually very professional, with the power adapter type suited for my region and a manual in proper English. It is impossible to miss the installation instructions: They are on the box, and in the printed manual, and repeated on the Sricam website(Nov.2016, no longer true, most links are dead now). In addition, a setup video is available for those not willing to read at all! The mobile app is simply called Sricam and is common to several other brands (like Sunluxy). Despite the below average user reviews found on Play store, I found it to work well once you format the SD card properly, bind an email to the alarm, and activate the surveillance mode. rtsp://ipcam:554/onvif2 for lower resolution (320x180). with H.264 Video Format, using the suffix (/onvif1, /onvif2) as Source Path. The picture quality from the GM8135S chipset compares to Hi3518-based devices. Unfortunately this camera lacks the IR-Cut feature to properly render the colours under daylight (e.g. green plants will look purple). The camera could not be used behind a window at night without reflecting its own lights on the glass. Two-way audio quality is adequate even if not exempt of faint internal camera noises in the background. The internal speaker here is loud enough which is rarely the case in these tiny devices. The Sricam SP009 is a good surprise. Not only for its very low price (~21€/23$ @ Gearbest), but also for the overall quality of the product from packaging to the camera itself, and not forgetting the complete setup instructions. It's a quasi-clone of the ES-IP810W reviewed earlier but with a better speaker and HD streamed through RTSP. My only grief is the lack of IR-Cut and LED control, but that's because the SP009 is the cheapest variant. IR-Cut is available, for ~4€ extra with the SP009B . ● Sricam provide a complete documentation including a video guide. 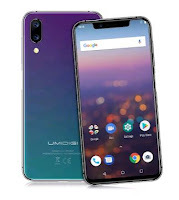 ● Up to 128GB microSD card supported. Removed previous comment: internal fault appeared to be a conflict between local router and camera. All they need to add is a scheduled FTP/email of a screenshot, or better still, a web interface for a jpg snapshot. I've tried several of these tiny cameras and although they do differ slightly in their hardware, they all seem to follow the same implementation model: RTSP, uPnP, and no Web Interface. Cameras with best of both worlds (Mobile/Cloud and embedded web UI) like the Wanscam HW series are more difficult to find nowadays. Is it possible to get single image from the camera? All I can get is the RTPS stream. thanks. The only services available in this camera are RTSP/445 and uPnP/5000, so no way to get some sort of snapshot.jpg or anything from a web interface. Getting snapshot will depend on the client application used for intercepting the video stream. For instance, VLC has a "Take snapshot" action in the Video menu. Can a static ip be setup for this cam via a web interface ? Is it compatible with 3rd party apps such as TinyCam Pro? Thanks. Did the audio features work with the app you tried? tinyCam Monitor supports this camera (rtsp/h264, 1-w audio). 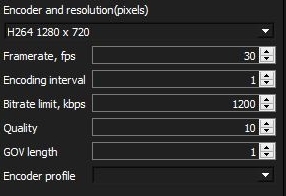 Has anyone got this to work over rtsp at full res? I installed iSpy and can see the camera but only at low resolution. I have both SP009 and SP012 with 14.0.0.52 for some time and don't see that problem. I have to provide a password to access http://videoipcamera.cn/view. How do you exactly connect to your camera from the web? ok, that makes sense. The rtsp protocol is not secure and does not use authentication, that's true for any IP camera. 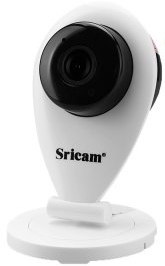 In my other review for the SP012 (http://www.gadgetvictims.com/2016/05/sricam-sp012-p2p-hd-ip-camera-review.html), I also show a way to access the camera using the port 5000. Same story anyway, no authentication supported. 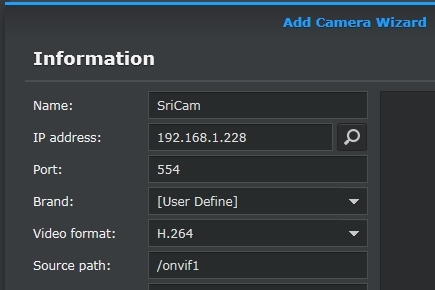 The "less unsecure" way to access these cameras is to use the Sricam app from playstore, but the only secure way is to have an Ip camera manager that relays all this through a https connection like Synology Surveillance Station. Personally I block the outside access to rtsp and upnp ports on my firewall. Hi Bubbah, this is a nice review. It's worth noting that as of July there is now a IR cut filter included and I can confirm it works great. I wonder if you can help with something that puzzles me about the camera. When turning on the camera for the very first time it obviously is not connected to my home WiFi. I install the app and send the WiFi SSID and password to the camera. HOW does the app transfer this data to the camera wireless? For extra information, I have been informed that the WiFi SSID and password can be passed to the camera by using a text file on the SD card. This is quite nice for people that don't want to use the app at all (I use Blue Iris for remote access). Hi Richard, thanks for the info about the text file. As you have to enter unique camera ID as the first step in adding a camera, I believe the app just queries the LAN for that unique ID using the unsecure Upnp/5000, not yet needing authentication just for doing that. Only if detected, it then asks for the SSID login to finish the process. I'm preparing an article on IP cameras and security but it's still in draft and I've been a bit lazy/busy lately. Hi Bubbah, can the app query the LAN for the ID even if the camera is not yet on the LAN and multiple SSID's are broadcasting? I've seen that some cameras listen to a sound from the phone to pass the data and I've seen some cameras look at a QR code displayed on the phone to get the credentials (I believe this camera can use the QR route if the Smart WiFi fails). I'd be interested in your security post. This is my general setup http://richard.mackney.com/wifi-security-camera/ (a bit outdated now). I'd have to repeat an installation process with some network sniffer (like "Wi-Fi PCAP Capture"), I was also under the impression that somehow the camera was detected before being given any AP password, but the tutorial video (https://www.youtube.com/watch?v=siw6mfDMGnA) shows that the camera is searched only after receiving the AP name and pwd (entered by hand or by showing the QR code generated by the app, it does work nicely), which makes more sense to me. The rest should be just a matter of using a multicast SSDP packet. i have a problem with vlc stream ... the camera only shows the 1st frame of the stream in vlc and than stands still ... Any ideas on how to fix this? The motion detection alarm is completely erratic in this model, so much that is useless. There is a solution to that problem? Ariel, it's not only with this camera but most in that range have a unreliable motion detection, often reacting to daylight changes, and the software has no option to control this. A NVR server can be used to process the motion detection instead of the camera. It's like a hub that manage all the IP Cameras, like Foscam FN3004H NVR. Personally I use the Surveillance software included in my Synology NAS, and takes over the motion detection, with zone definition and other more intelligent functions that the camera does not have. How many mobile devices are allowed to view one camera? I have a few SP009 Sricams and I am trying to view their streaming on a webrowser and not using any application.Can someone help me with the URL that I need to use? Thanks !! in progs like VLC but not a web broswer. As far as I know the cams don't have a built in http web server. Thank you for the reply. Would you know of a cheap IPcamera that has the built in server? Try the Wanscam HW series. I'll publish the review of the hw049 later this week. Bought two of these wish I hadn't, they are terrible freeze all the time , go blocky, 10 sec delay on motion. Just rubbish. I also have an old wansview 541 http , not on the dreaded onvif rtsp. This camera works day in day out for years, never a problem. Hello, after a month usage, I opened the micro sd today and in the E:\npc\record folder there are one folder for each day of the month, and inside there are many files in .AV format for any every half an hour. I purchased a Sricam SP009 P2P HD IP Camera from Amazon, but having read about the security risks in your excellent articles I'm thinking of returning it. Is there a camera manufacturer with a budget camera that you recommend and does not have the uPnP security issues? Also, do you have any experience in MAC OS software to view and manage several IP cameras? I've tried iSentry using the built-in iMac camera and it works well: images saved to dropbox and alerts. It even with the free version. But I cannot, as yet, get it to view the SP009. Any Mac software recommendations? I expected the latest Digoo BB-M2 to be like that, but they have stability issues and don't stream audio through rtsp/onvif. So my personal reference at the moment is this HW series (I will soon review the HW0036) because they all seem to be built on the same specifications. It is quite easy to control they chatty behaviour from any router by assigning them a range of IP addresses which outbound traffic is dropped by a firewall rule. Thanks for your reply. Yes, I think virtually all cheaper IP cameras use uPnP to ease of access from outside the home network. But therein lies the security weakness. You suggestion of assigning a range on IP addresses and blocking internal traffic seems good. But if a camera is assigned a fixed IP on the internal network and incoming traffic to that IP is blocked at the router, will the phone app still be able to see the camera from outside the LAN? Your preferred solution of the Synology NAS, although a good one, is not a cheap - about £70 for the NAS and £40 more for software licenses. I'm returning the Sricam sp009 and buying a D-Link 932L. I know it's slightly more expensive, and more basic, but it is confirmed to work with the iSentry MacOS software I like and has great support on firmware updates from D-Link. Hi Stephen, in the context of a Synology, QNAP or any NVR solution (some are cheaper than Syno), the cameras will only speak with the NVR and it is this NVR that will serve all the cameras streams through one unique, preferably encrypted, connection with the outside world. I made this diagram to illustrate my current setup. It's part of my latest review of the Veskys camera. 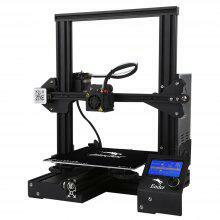 I thin you can't go wrong with the 932L, it has many good reviews on amazon. 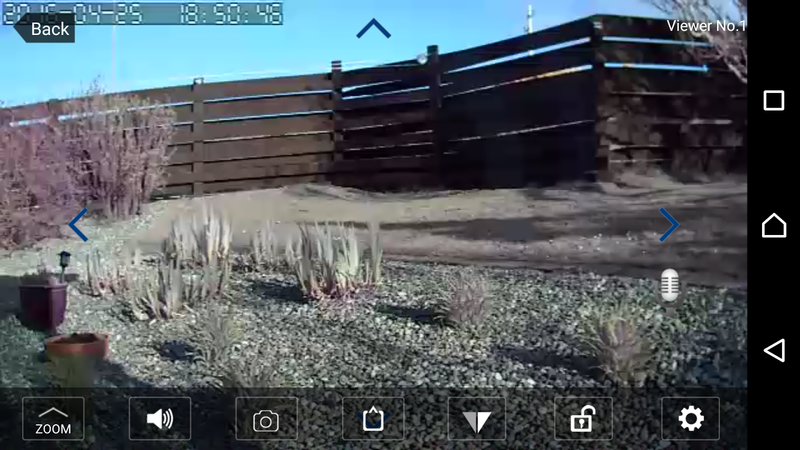 Hi Bubbah, here is a promised update on my first experience with IP cameras. As mentioned above, I returned the Sricam SP009 because I was worried about external access to the camera without a username and password (I'd read about uPNP security issues through your excellent posts). I purchased a D-Link 932L instead. 1. Installation of the camera was straightward, the 'mydlink lite' app guides you through installation. I could see the camera from home and remotely using wifi, very nice to keep an eye on the dog! However, access to the camera through mobile data did not work. Reading other blogs, there seems to be difficulties with viewing this camera with the mydlink lite app using 3G. Perhaps it is because it's an older camera. The motion detection notification did work over 3G so you can use this app to notify you of movement. 2. I found the OWLR d-link app (see owlr.com) and this solved the problem. Again setup was easy using the app and their website explained how to port-forward using Apple hardware and MacOS. I can now see the house and get motion alerts the moment they happen at home! The D-Link 932L has a web based configuration accessible from a browser on the LAN and this allows very detailed setup of motion detection, scheduling, notification by email, and uploading of images via ftp. It has Infra-Red for night-time imagery too. But the Owlr app can handle everything with the need to configure in more detail (just note that Owlr do charge £0.99 a month for motion detection notification). Now If I get a motion detection images of the 'intruder' (or dog stretching!) are instantly available to view in an email and I can call up the owlr camera app for a live view. There is no audio, but that's not important to me. Nor does it save rolling video, but that's not what I was looking for either. The camera does connect to iSentry on MacOS, but using it with the software is a £20 in-app purchase. I found the camera could do what I wanted without the need for using iSentry. Spend time researching, you will get there. D-Link seem to be good a firmware updates and have lots of FAQs. A newer, more expensive, range of 'mydlink home' devices communicate with each other to provide a smart home setup. Owlr.com are worth keeping an eye on - they are a London based start-up specialising in IP cameras. The D-Link 932L is currently £34 on Amazon.co.uk, and I'd recommend it as a cheap home security device any day. hope this helps you. and yes please do this at your own risk. Nothing there! Do you have a full link? Thanks. I'm now upgraded and streaming 720p! Now, to find the same for my SP019 - I have emailed sricam but waiting for a reply. Using the SP009 through Synology Surveillance Station and getting 1280x720 ok. Funny thing... Was able to get HD rtsp (VLC) but after installing memory card only 640x360.